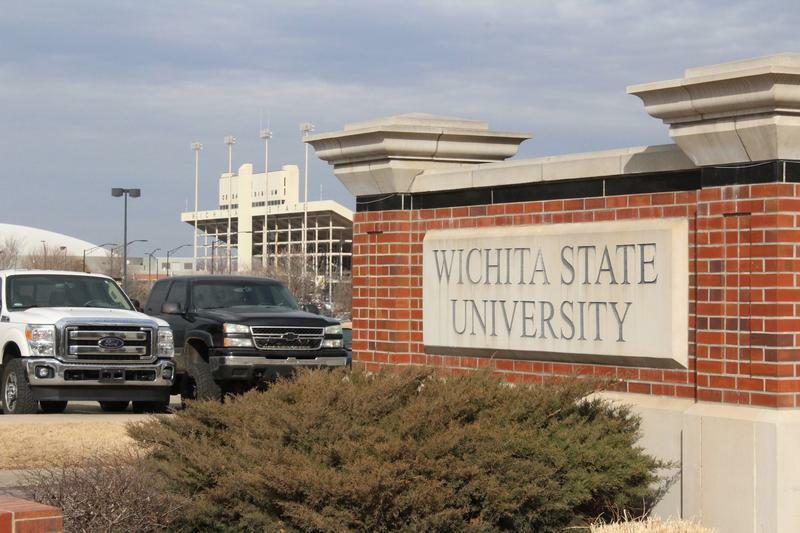 Tuition at Wichita State University and other public colleges in the country have climbed as taxpayer support has dwindled. Students in Kansas are bearing more than two-thirds of the cost of their education at public universities in the state. That’s a sharp increase over the last 16 years. 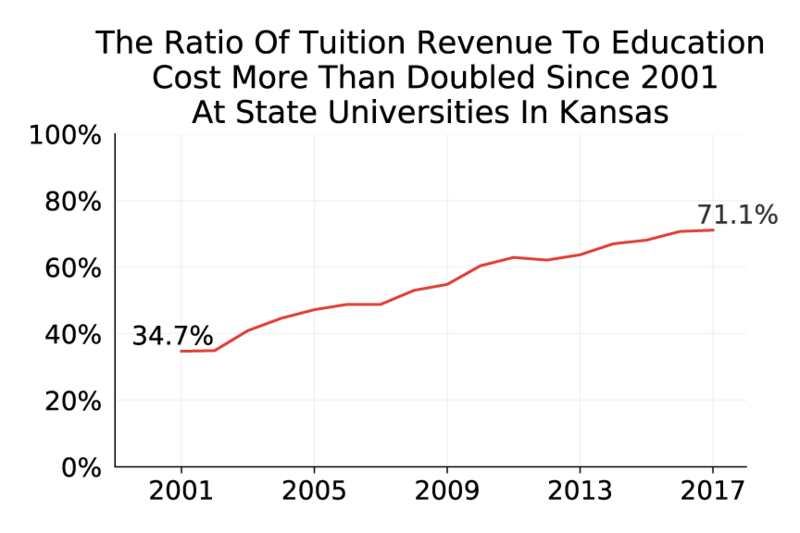 In 2001, revenue from tuition was little more than a third of the cost of education — about 35 percent. Today it's just over 71 percent. The main reason students — rather than the state — are paying a majority of the cost is years of state funding cuts. Funding for higher education has faced multiple cuts over the past decade. Adjusted for inflation, Kansas universities lost more than a quarter of their state funding since 2001. That has caused universities to turn to tuition hikes. Since 2001, revenue from tuition for state universities increased more than 2.5 times (also adjusted for inflation). “This, of course, doesn’t take into account expenses that they have for books or student fees,” said Elaine Frisbie, the vice president for finance and administration for the Kansas Board of Regents. Those fees have also jumped, at least in part as a reaction to lower state funding. The future of state funding and tuition is uncertain. While the Kansas Board of Regents is pushing the Legislature to restore $24 million from recent cuts, lawmakers have hinted at the possibility of more cuts to pay for K-12 funding. Frisbie says the Board of Regents will review possible tuition increases for 2019 this summer, though she suspects the board is concerned about how tuition increases would further block Kansans' access to higher education. 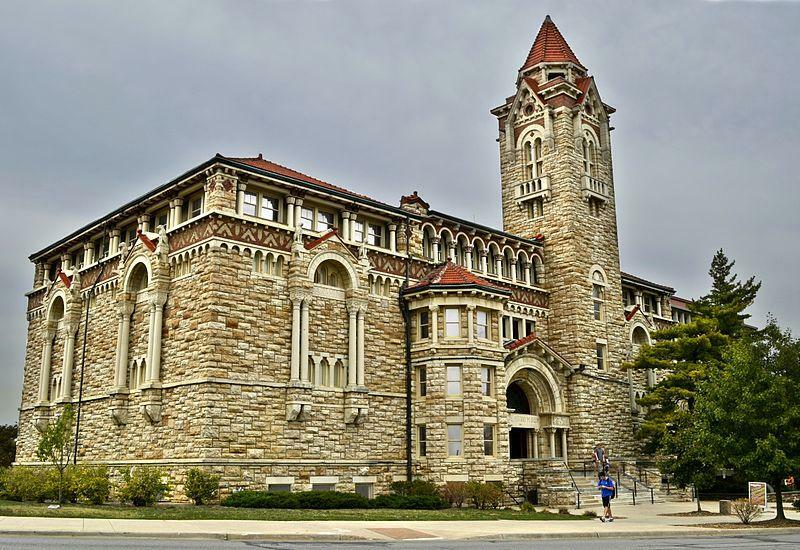 “Whether they are willing and interested in having the universities continue to increase tuition is going to be an interesting discussion,” Frisbie said. There’s a third factor that goes into the cost of tuition: the actual cost of education. And that cost has grown over the last 16 years, outpacing inflation. Some of the rise in education spending is out of the universities' hands. State university faculty, for example, have a state employee health plan. As premiums go up, so does the cost of education. “We are looking at ways of how do we reduce our costs and be more efficient,” said Ethan Erickson, the assistant vice president for budget planning at Kansas State University. “But, at the end of the day, there are going to be some areas where if we want to continue to maintain and provide an excellent educational opportunity we have to able to increase and adjust for those operational costs,” he said. 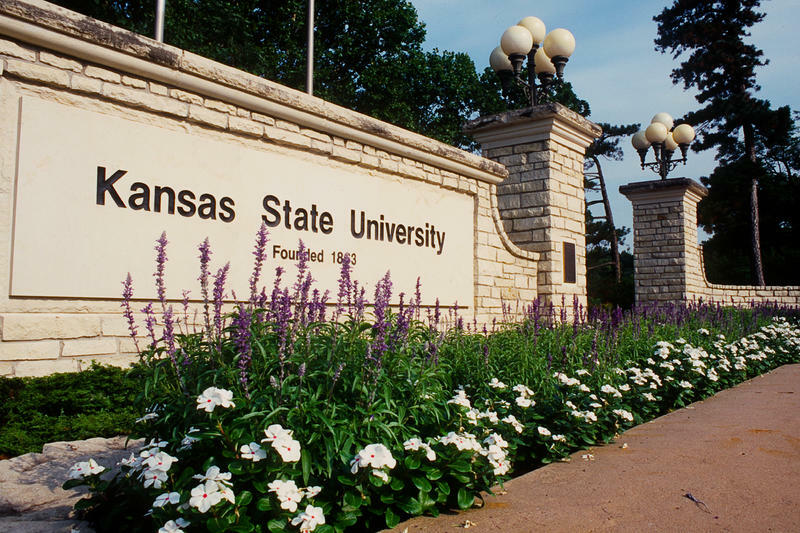 Despite the increases to tuition, Erickson argues that K-State is worth the cost. "Kansas State University is an exceptional bargain for our citizens,” he said. “We still provide a great value for our customers." 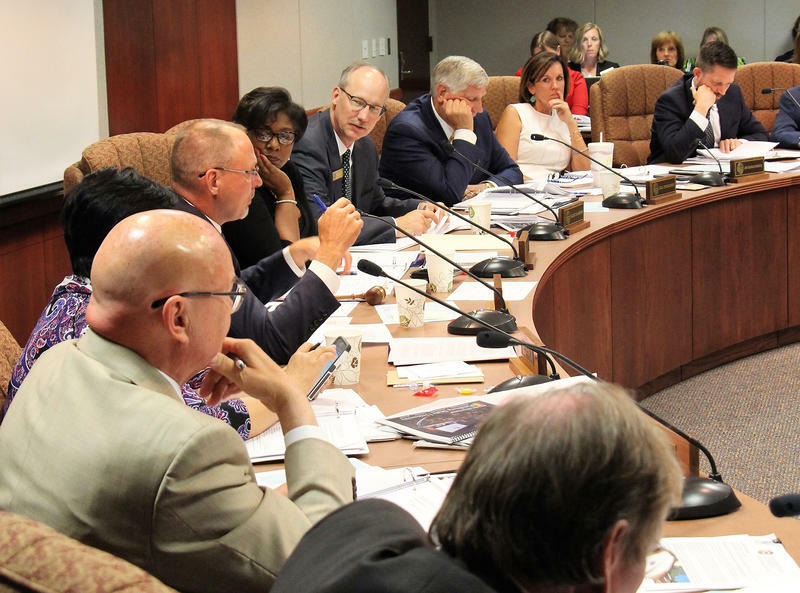 The regular meeting of the Kansas Board of Regents Wednesday already had a bit of a somber tone; all six universities came in with tuition hike requests between 3.3 percent and 5 percent. In a 109-page document the schools detailed increased expenses and an anticipated 3 percent cut from the state. “I love tribalism, and that might be shocking,” she told host Gina Kaufmann on KCUR’s Central Standard.